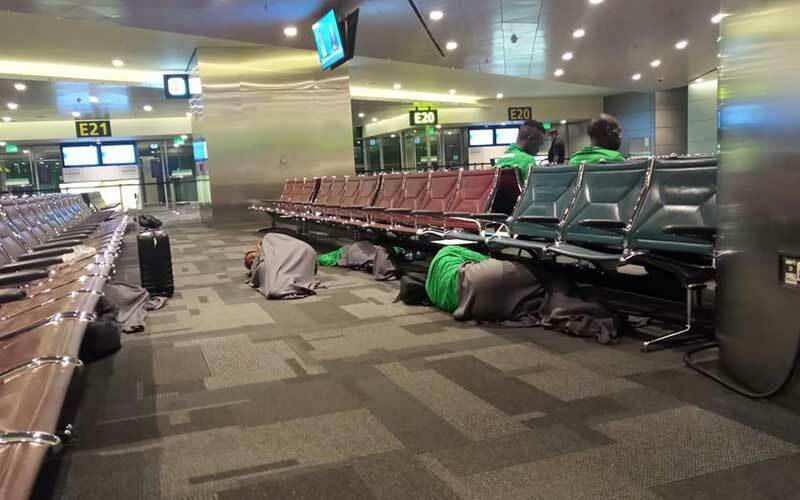 Sunday, April 14, 2019- Gor Mahia players were forced to sleep on the floor at Doha International Airport enroute to Morocco for a crucial CAF Confederations Cup quarter finals return leg match against RS Berkane. Apparently, the club did not have funds to book the players into a hotel as they waited for a connecting flight to Morocco from Doha. 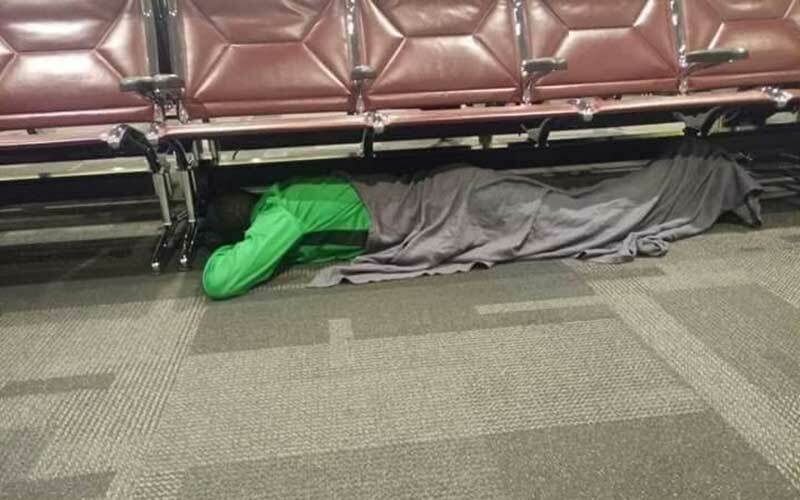 “We are currently resting on the floor in the waiting room. Our flight is at 12.00 midnight and the club says it does not have money to book a resting room for us. “We have no alternative but find a way of passing time before we leave; we will arrive in Morocco in the morning. Definitely, we will be tired, but we will give our best, we felt it is good for the fans to know what is happening,” a player who sought anonymity intimated to us. 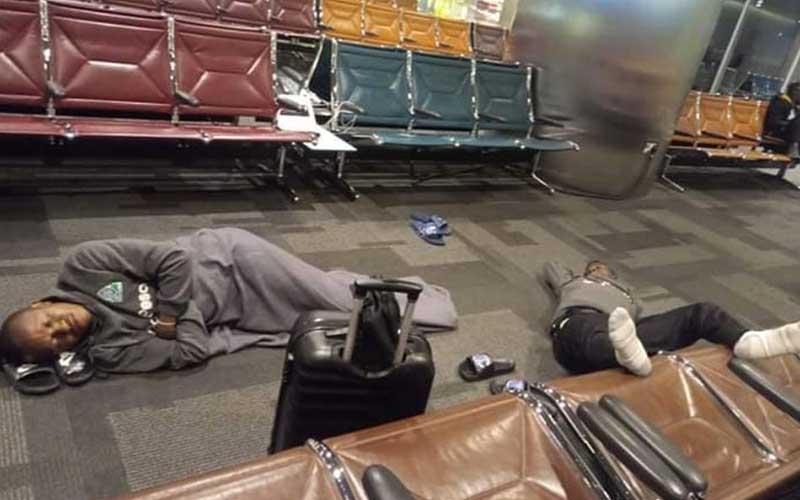 The photos have angered Kenyans who have called for the club’s management to put their act together.